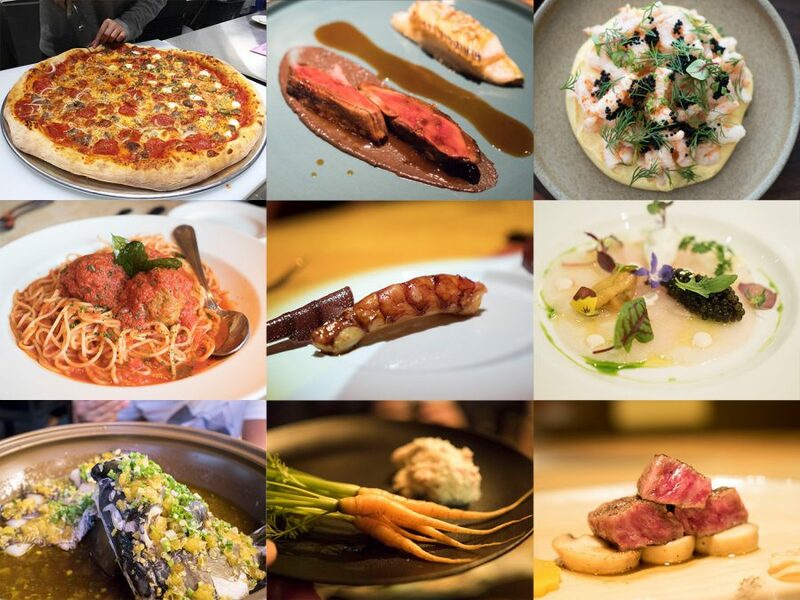 In continuance of my impossible quest to conquer all the brunches in Shanghai, I revisited my all time favourite restaurant in Shanghai, The Commune Social, and return with an extensive review and video. 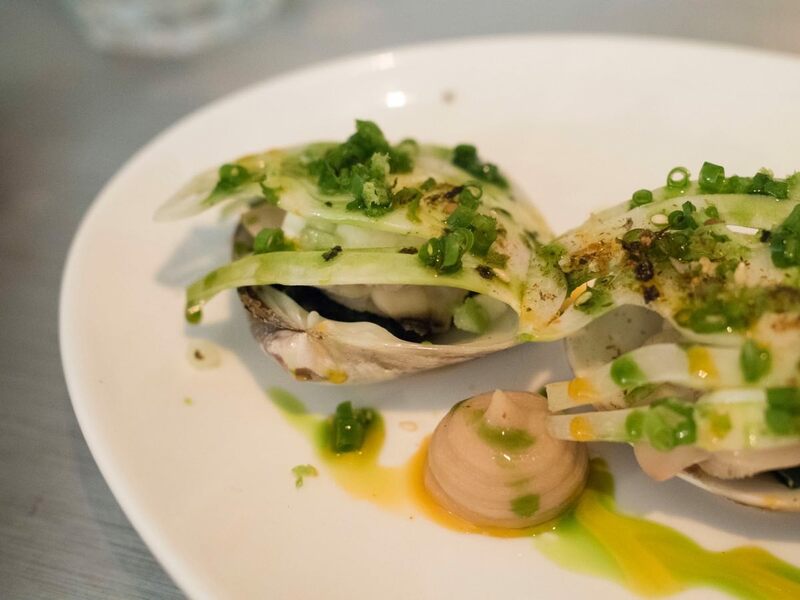 My frequent readers/followers would know that I’ve often spoken highly of this restaurant which was founded by chef Jason Atherton and run by chefs Scott Melvin and his wife, chef Kim Melvin. Although I’ve only reviewed them twice, I have in fact visited them many times. The Commune Social, is always my number one spot in Shanghai to bring guests and visitors in Shanghai to have a fine, impressive meal. My first and second reviews of The Commune Social. Brunch at The Commune Social, like many other restaurants in Shanghai, is only available on weekends, and last from 12pm to 3pm. 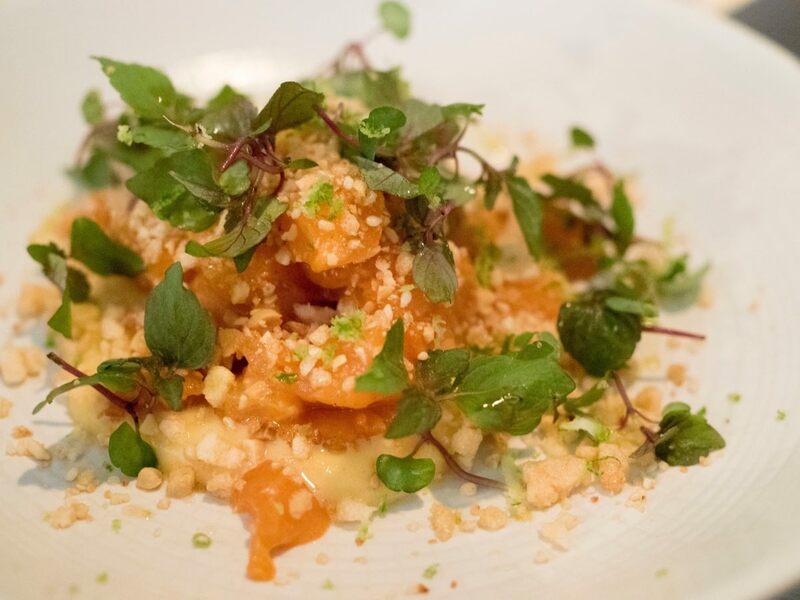 The menu at The Commune Social changes regularly, usually with seasonal produce being highlighted, along with their signature dishes. 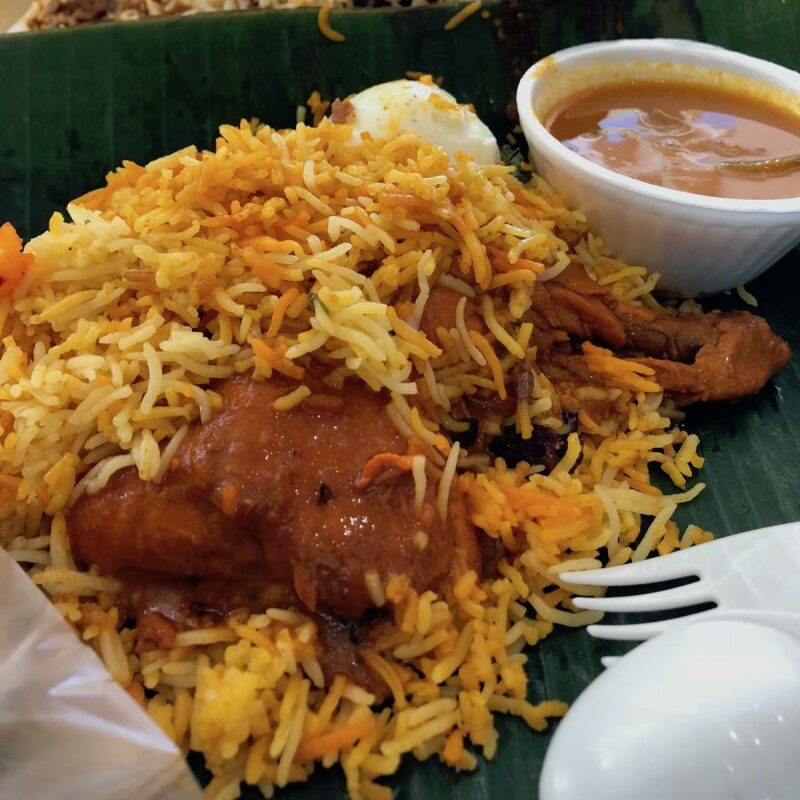 One of the things that I like very much about The Commune Social, is that the decor and vibe of the restaurant is unpretentious, despite the calibre of it’s cuisine. There are no flashy signboards on the outside, just an unassuming glass door. Upon entering, you will pass by the dessert bar, followed by some well spaced-apart tables. There is also an inner courtyard with outdoor seating to enjoy the sunlight on good days, with a cup of latte and a table of small plates. Deeper within the restaurant, lies the kitchen, surrounded by a counter of seats — the chef’s table. It is here, where you get an unobstructed view of everything going on within the kitchen (along with salumi hanging atop your seat). Service has always been exceptional at The Commune Social in all my visits. From the seasoned maitre’d to the newcomer waiter, to the bartender (though some may find he is quite a character). 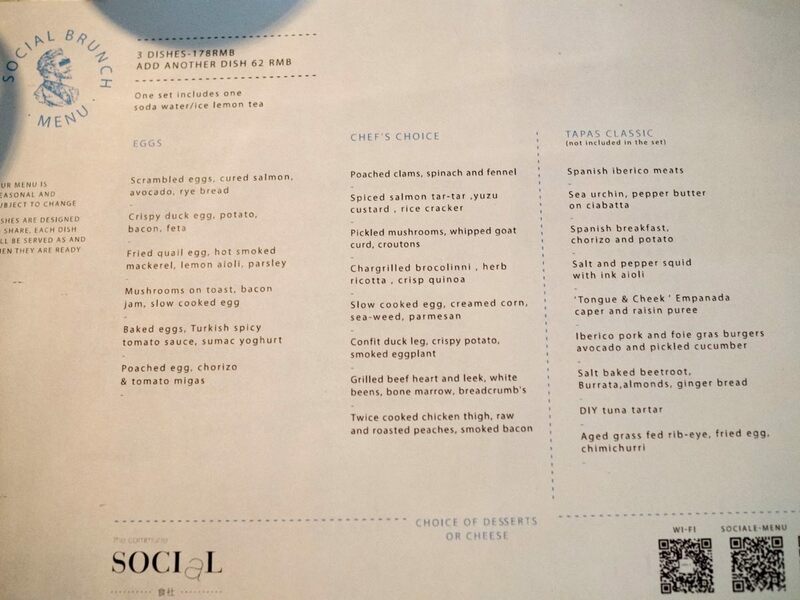 The menu pricing at The Commune Social is dead simple. Choose any 3 dishes from the Eggs and Chef’s Choice sections of the menu for RMB178. 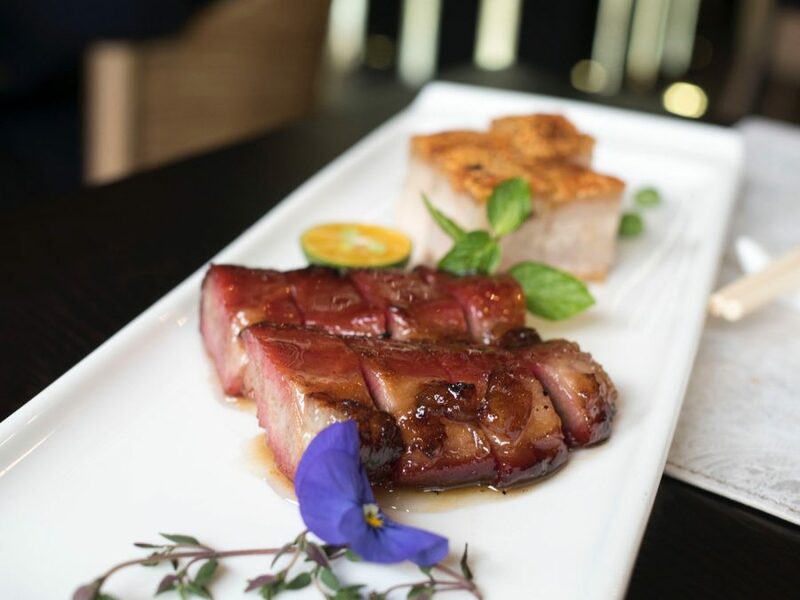 Add additional dishes for RMB62. 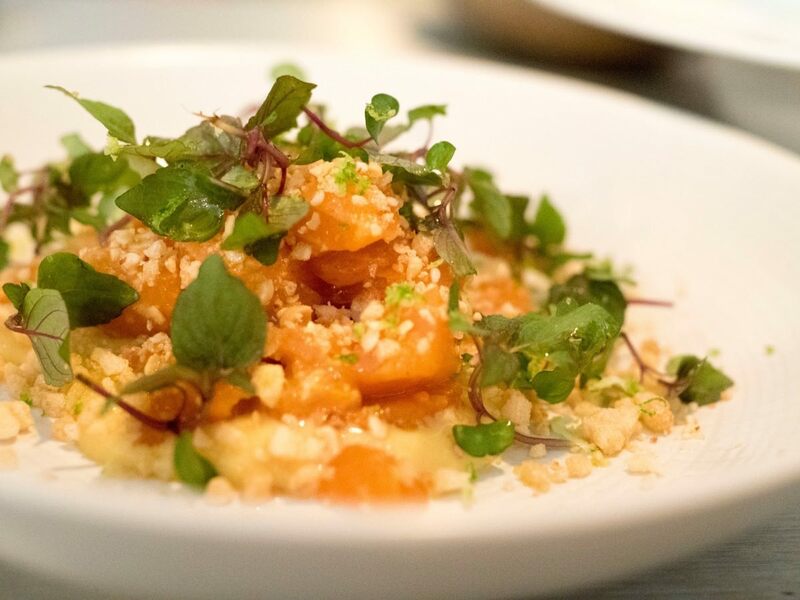 There is a separate Tapas Classics section on the menu, which are basically signature dishes at The Commune Social, and are ordered a la carte. This was probably my third time tasting this dish. I still loved it for it’s simplicity. 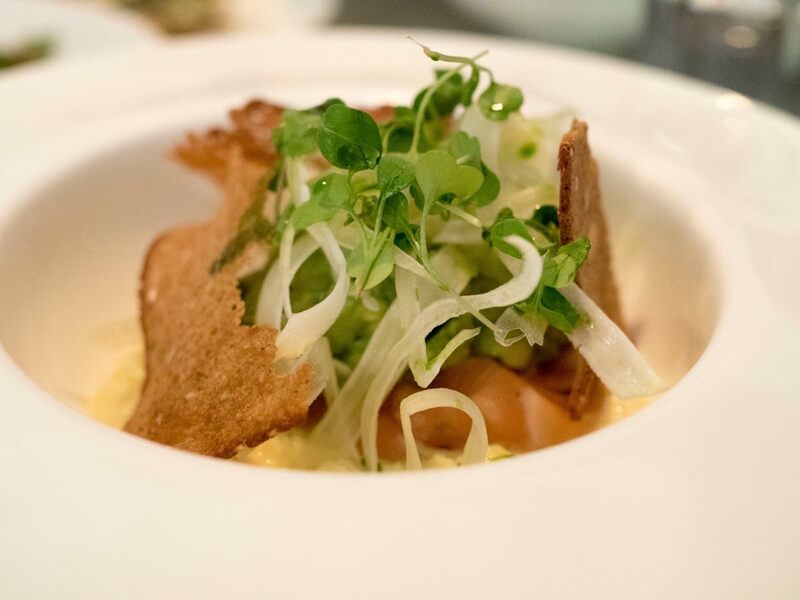 Fresh-tasting diced salmon with a hint of heat and a splash of tartness from the yuzu custard. 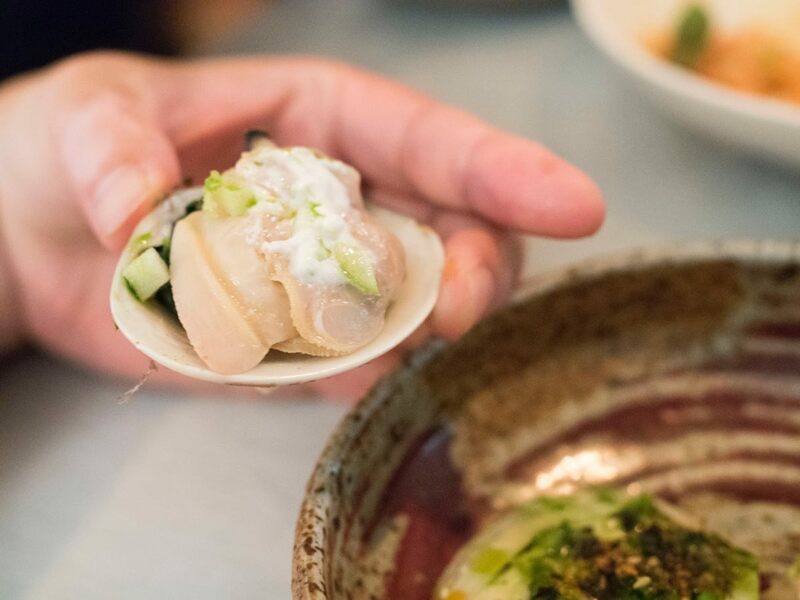 Three large clams, poached, layered ontop of spinach and topped with a slice of fennel. I detected some sort of chestnut puree on the plate, though I could be wrong, as it wasn’t specified on the menu. 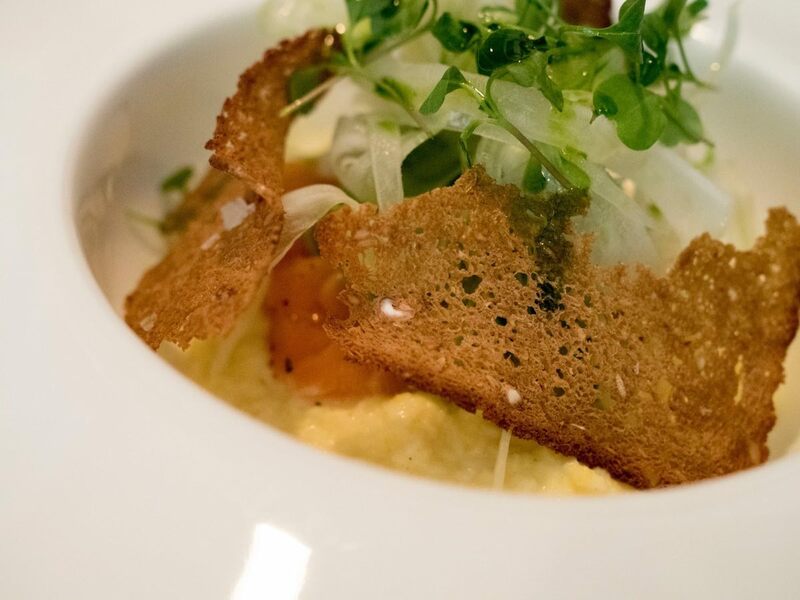 These scrambled eggs were done the French way, a style of scrambled eggs that are soft and creamy, almost like an egg puree type of consistency. While not as suitable to munch on because of their slightly watery consistency, they are luxurious when scooped up with toasted bread — also provided in this dish. Check out this Youtube video by Jamie Oliver on how to scramble eggs 3 ways. 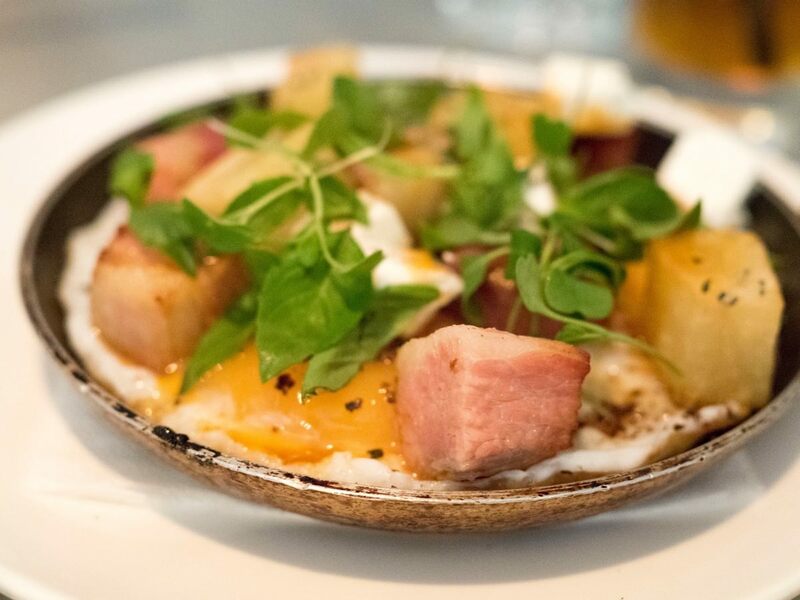 Served on a small skillet, the smell of bacon immediately hit our noses when the dish was presented. The duck eggs tasted richer and more flavourful than regular eggs. The crisp edges, while not traditionally desired, in my opinion provided a more appetizing flavour from the maillard reaction. The true star of this dish was in the thick cubes of bacon. They had the perfect blend of saltiness, packed with a 10/10 explosive smokey bacon flavour. Roasted potatoes were cooked through, and helped ease out all the rich components of the dish. This was easily my favourite dish of the day. 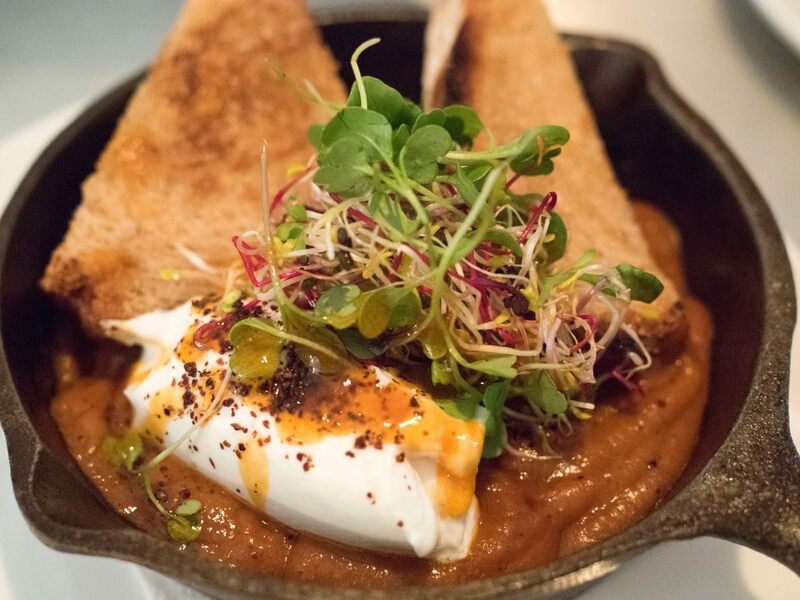 This was what I presumed to be Chef Scott Melvin’s take on Shakshouka at The Commune Social. The name Sumac was foreign to me, and I had to look it up. It is actually a type powdered spice, made from the fruit of a Sumac tree. The spice is often used in the Middle East to impart a tart, citrusy flavour to dishes. 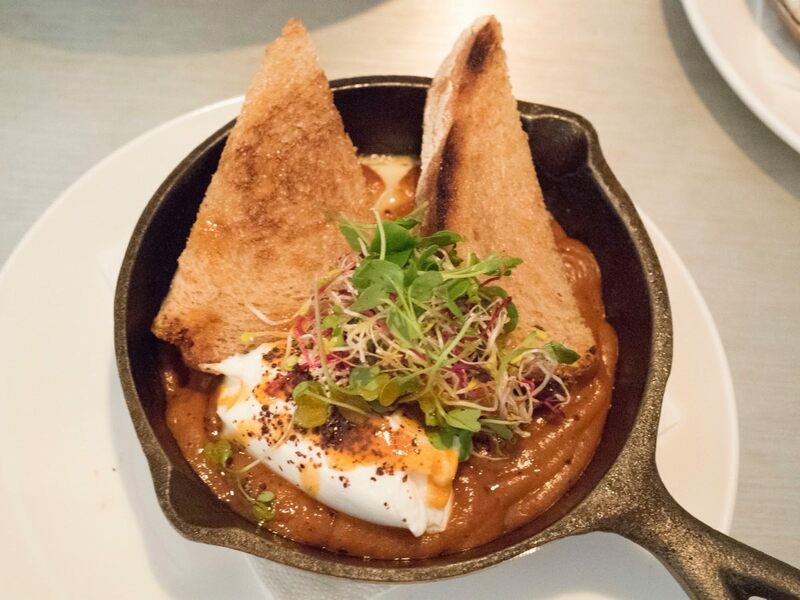 The baked eggs dish at The Commune Social, like many Turkish dishes, had strong spicy flavours, dominated by cumin. I liked that the flavours were not overpowering, and if so (spice tolerance is subjective) would be curbed with the Sumac yoghurt. The duck confit was an interesting creation. 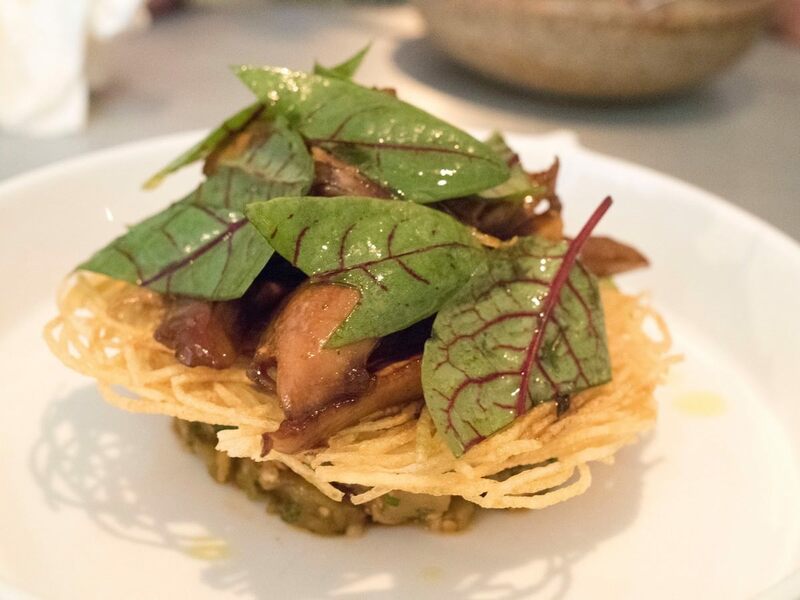 Morsels of duck confit placed ontop of a crispy potato wafer, resting on a bed of smoked and marinated eggplant. Firstly, the eggplant was packed with smokiness and seasoned perfectly with a bit of saltiness and tartness. 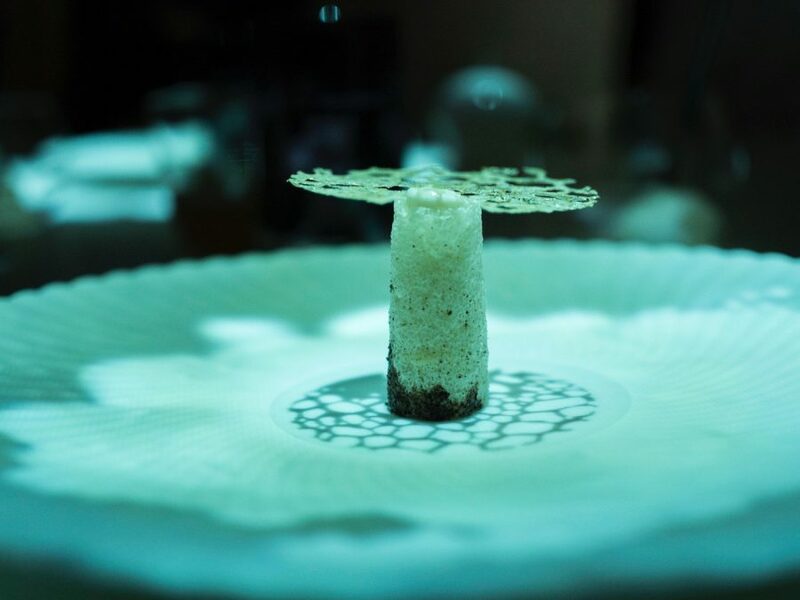 The thin piece of wafer was lovingly crisp and full of potato flavours, like an elevated potato crisp. This was another dish that seemed unusual on paper. Chicken and peaches. 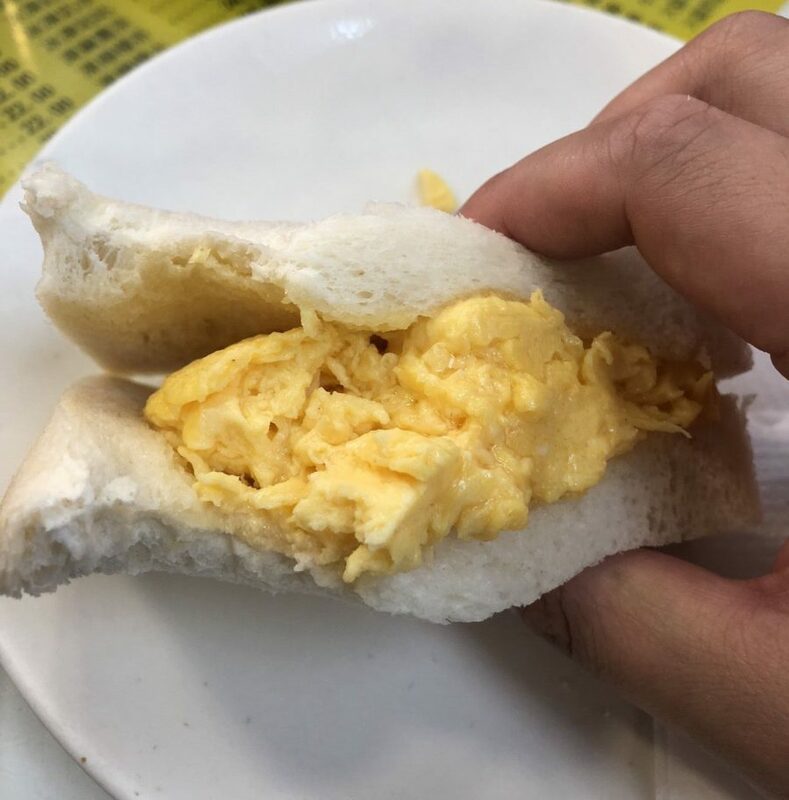 One rarely sees this combination in restaurants here in Asia, let alone Shanghai. A quick google search, revealed that cooking chicken with peaches is apparently a thing! I was excited to try. 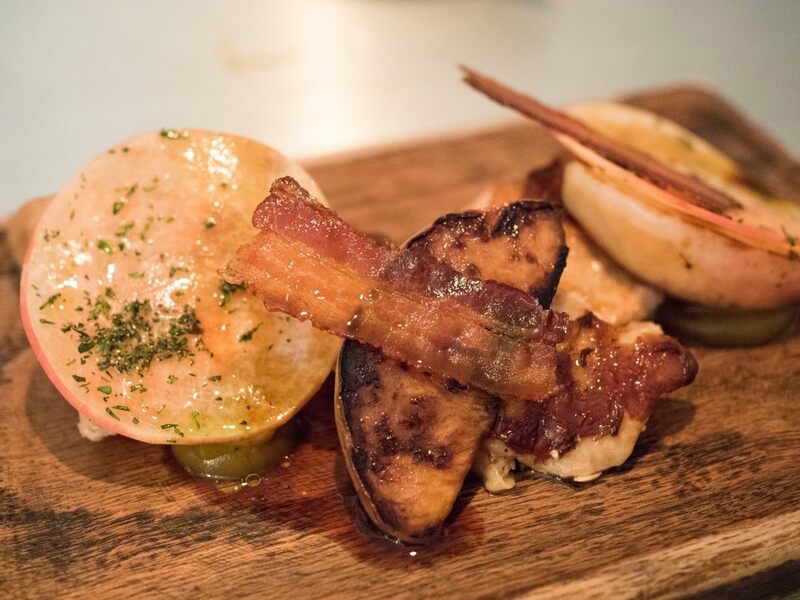 The presentation of the dish was just as bold as it sounded — Three chunks of chicken thigh, topped with two slices of raw and one wedge of caramelised peaches, topped with two paper thin strips of streaky bacon. 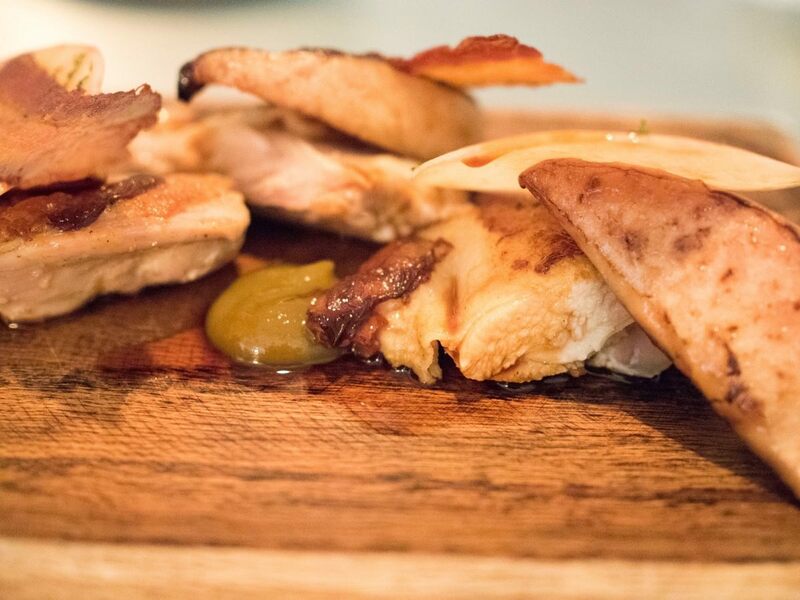 The chicken was cooked masterfully — Tender and moist meat, with a lovely charred skin. I often see cooking un-conventional cuts of meats as a means of testing a chef’s skill. To be honest, I don’t remember myself having eaten beef heart before, hence I was curious to see what Chef Scott Melvin could conjure up. 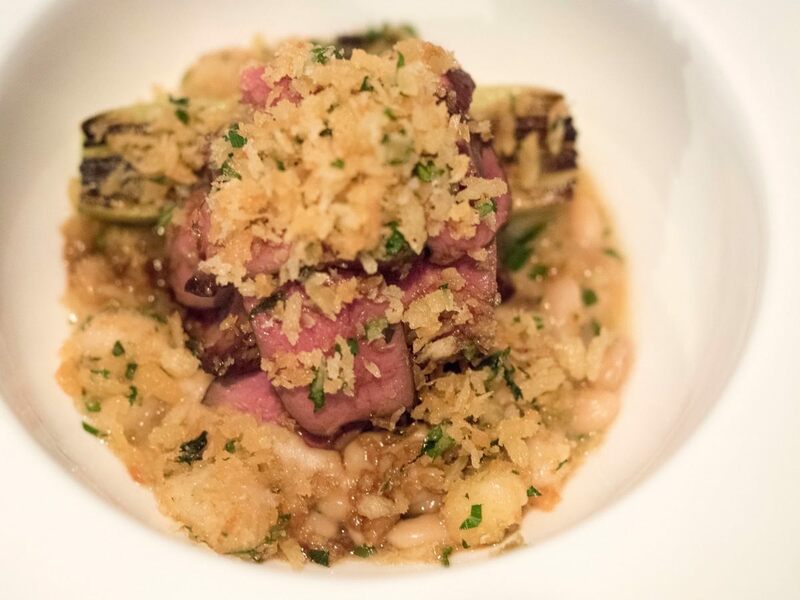 The dish arrived looking very pretty — slices of stunningly medium rare hearts, laid on top of white beans, bone marrow bits, two pieces of charred leeks and a generous sprinkle of bread crumbs. Upon tasting, I detected a nice delicate flavour (grass fed beef likely), with zero gamey flavours that one may expect from an internal organ. However, the meat was too chewy for my liking. 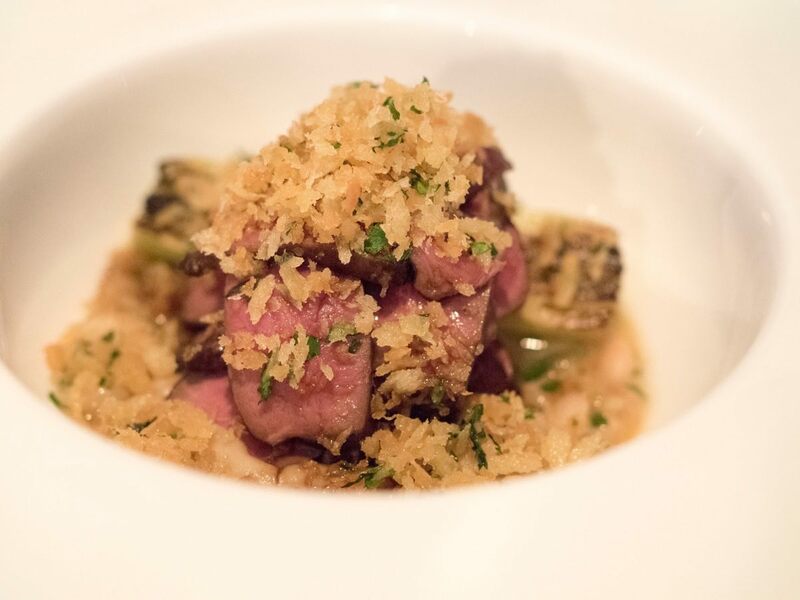 I understood from Chef that he meant for it to be slightly chewy, and I agreed to would have liked it with a bit of texture like beef tongue, but the beef hearts that we had that day was too chewy for my liking. The bread crumbs added some crunchiness between bites, similar to pop rocks in the mouth. The beans were well cooked, tender and layered with richness from the bone marrow. Financiers are small traditional French cakes, flavoured with almond and usually baked in a small, brick-like molds. They are said to have gotten their names because they resembled gold bars, and/or they were often carried around in pockets by people working in the financial districts of Paris due to their ruggedness. This dessert at The Commune Social was served with two broken pieces of the cake, though I felt the presentation looked a bit scattered. 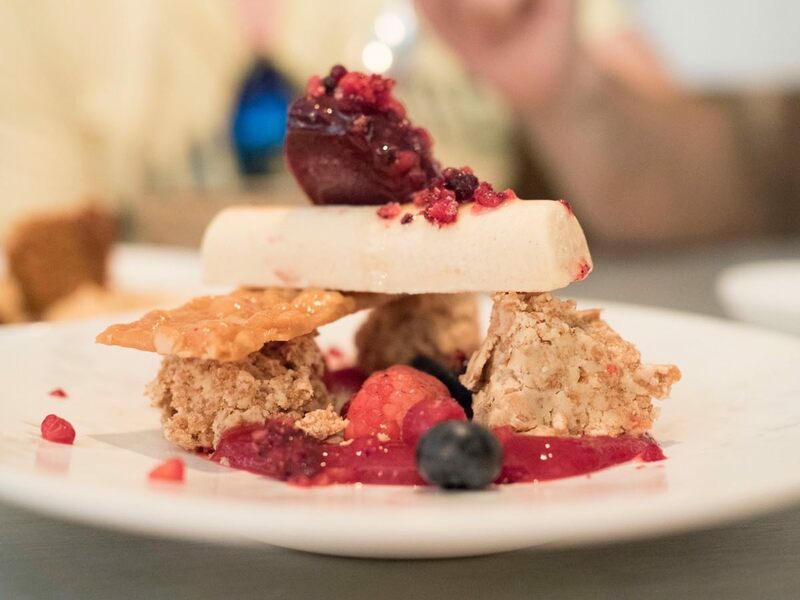 The peanut ice cream dessert, on the other hand, is a MUST ORDER on every trip to The Commune Social. 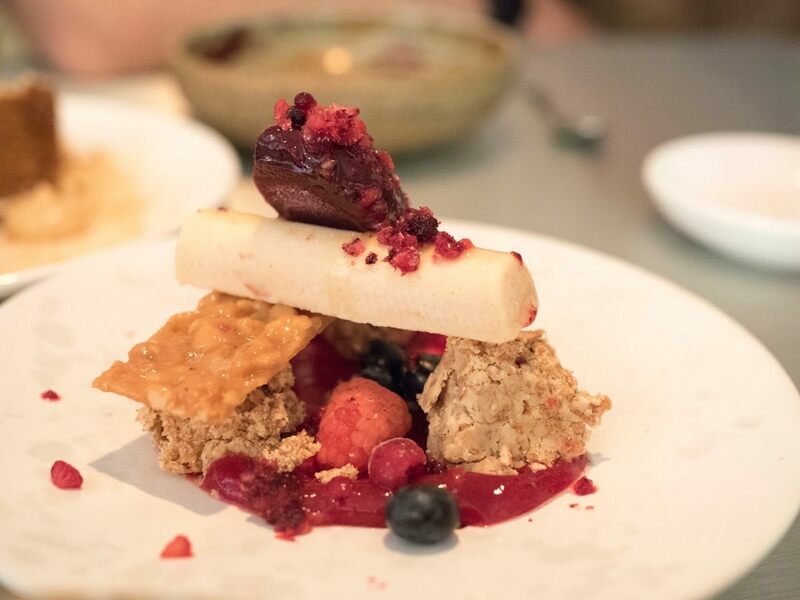 It’s been on the menu as the flag ship dessert for over 3 years now, and deservedly so. In essence, it is Chef Kim Melvin’s take on what I believe to be the peanut butter and jelly sandwich. 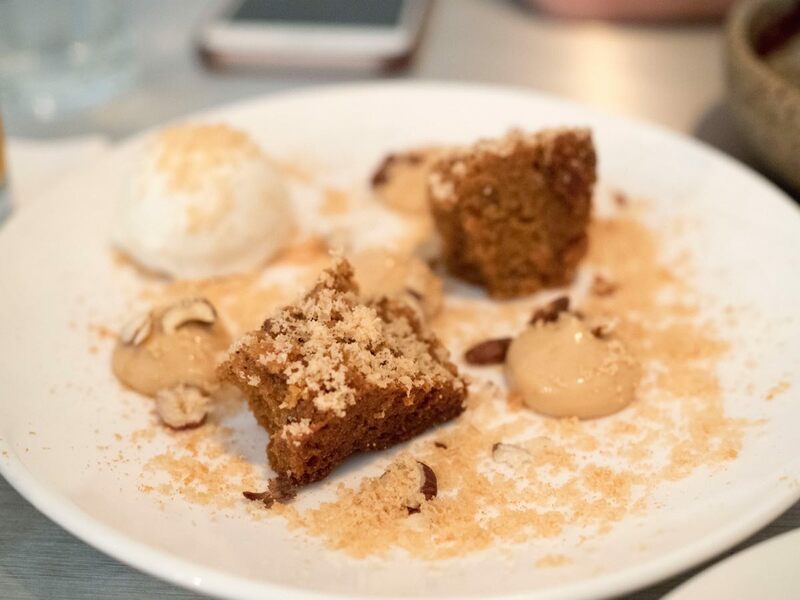 The crumbled pieces had a strong, sweet and savoury hit of peanut butter, which was accented with a bar of peanut ice cream. Just when you thought you had reached the climax of a peanut buttery high, a sharp tartness from the fresh raspberries and red fruit (i think raspberry and/or strawberry) ice cream offset all the accumulated richness and rooted one back to reality, to repeat the process all over again. In conclusion, there were a couple of misses this time, but for the ones that didn’t, were really spectacular. 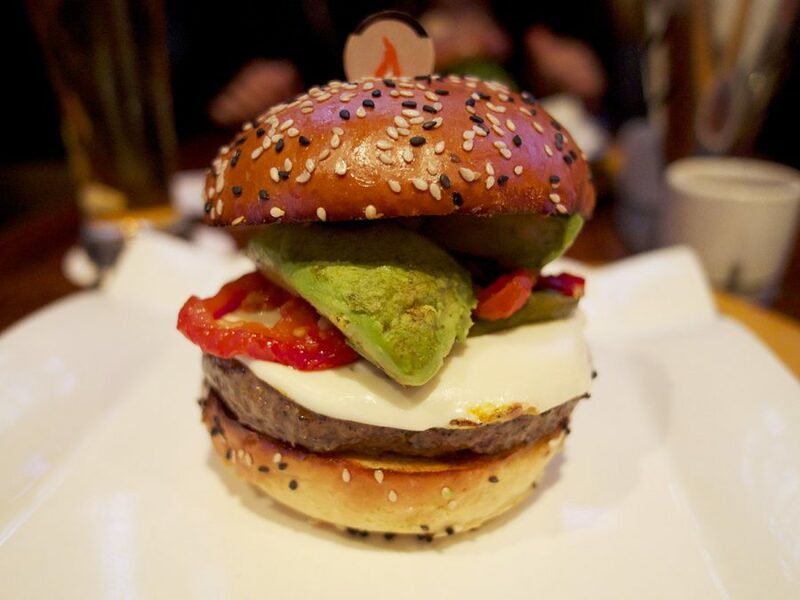 Fret not, because the menu changes constantly, and you can be sure to look forward to constant creativity and innovation in the menu.